2.Prepare Balsamic Glaze: In small saucepot, whisk together garlic, vinegar, honey, Worcestershire and salt. Cook over medium heat 2 minutes or until mixture simmers. In small bowl, whisk together cornstarch and water; add to balsamic mixture and heat to boiling, stirring constantly with whisk. Remove from heat. 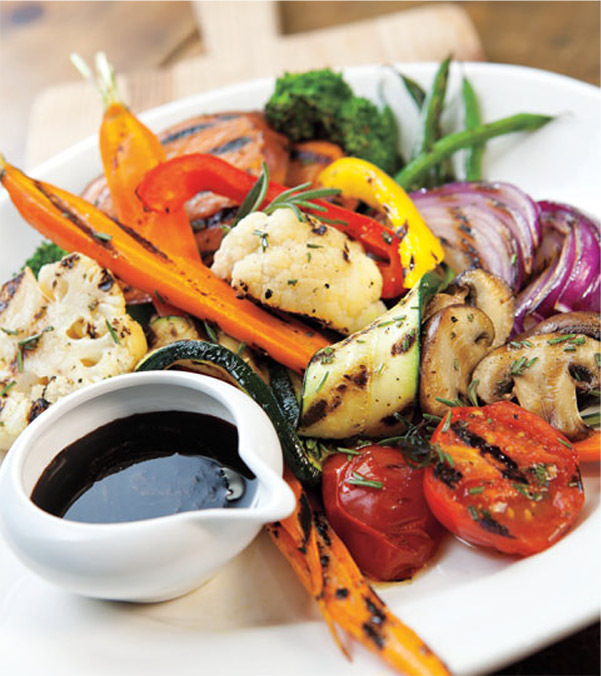 3.Prepare Grilled Vegetables: In large bowl, toss vegetables with oil. Place vegetables on hot grill rack and cook 7 to 10 minutes or until tender, turning vegetables once halfway through cooking. 4.To serve, transfer vegetables to serving platter. Sprinkle with rosemary and serve with Balsamic Glaze.